You may have heard about changes to Data Protection laws that came into effect in May – General Data Protection Regulation or GDPR. Ahead of the changes, you may have been contacted by some organisations you subscribe to or shop with, asking for you to confirm your subscription to their newsletters or product updates. The new laws mean that we will be asking our students questions in a slightly different way. We want to give everyone the opportunity to be clear about how they wish to be contacted and what they would like to hear about. We don’t want anyone to miss out on information about their courses or College news so will need to get new permission from students to do that. As a College, we love celebrating our students’ successes and achievements so will be asking for permission to do that too. 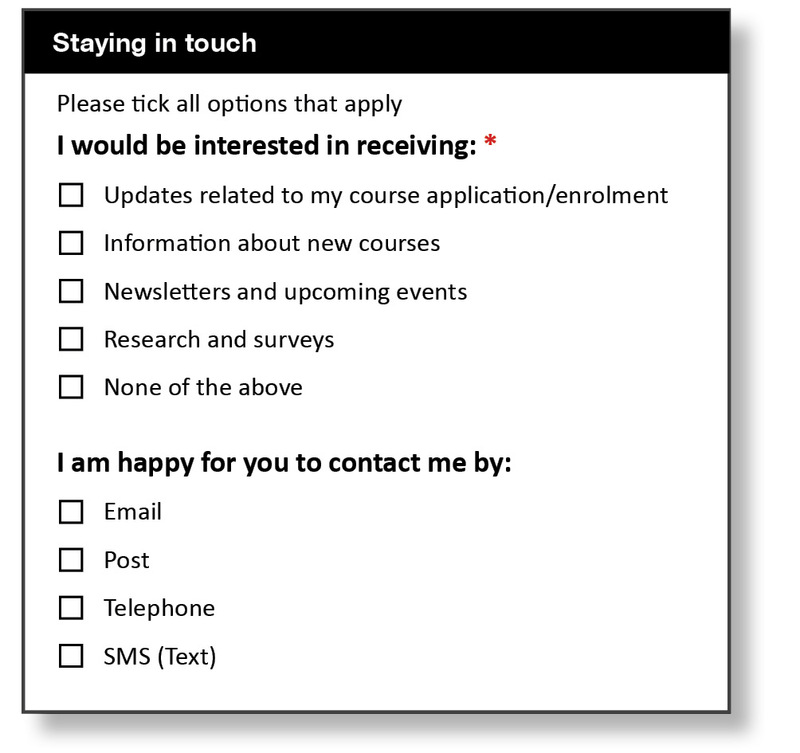 We will make sure that students can contact us easily if they decide to change their permission choices. One of the new changes is that consent can now be granted by anyone aged 16 or above, whereas previously we requested a parent’s/guardian’s permission for all those under 18. However, as a College we have decided to still request parent permission (for students under 18) for certain key elements such as medical information and trips. We will contact you directly when this permission is required. If you would like to find out more about GDPR please visit the Information Commissioner’s Office website (https://ico.org.uk/).